Just imagining Cleopatra with a gold face mask while sleeping astonishes me. History tells that it’s one of her beauty regimens to maintain her youthful look and golden glow. But who could afford such lavishing beauty treat aside from the rich and famous? Surprisingly, anyone and everyone can afford the benefits of the gold-infused, organic and natural products! Gold in skin care is not limited to Thailand and well-developed countries. 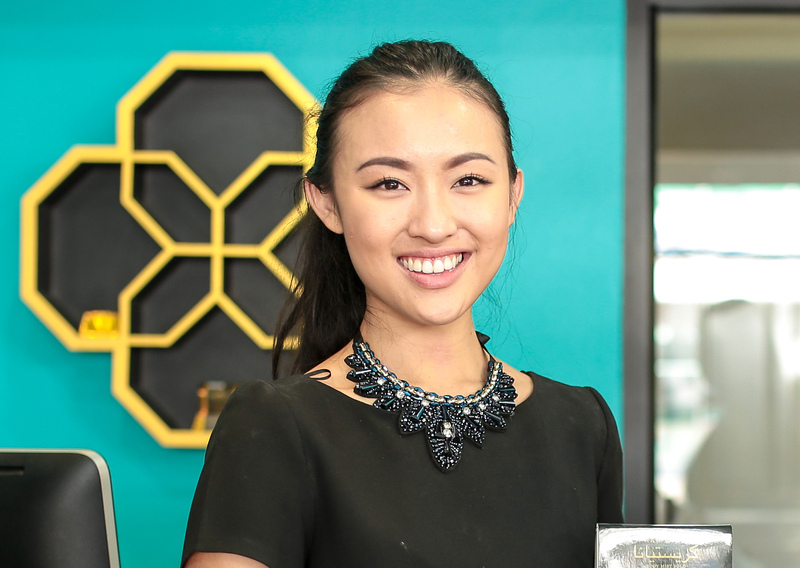 It’s fascinating to have known that the CEO and Founder of this dazzling company is a half-Filipina! I’ve been excited to know more about Gold Bar. Much gaiety and gratitude for the virtual interview that Ms. Kristiana graced. Q: What makes you proud having a Filipino blood? A: I am proud to represent the unique culture of the Philippines which beautifully combines the cultures of the East and the West and to be part of a community of happy people that celebrates life whatever it may bring. Q: Could you please share about your academic background and how you’ve become an entrepreneur? A: I studied in Thailand under the British Curriculum up until the age of 16 when I moved to the UK to attend boarding school where I completed my last 2 years of high school. I then completed my Bachelor of Science degree in the UK in Accounting and Finance at Warwick University in 2014. Q: How did you discover this treasure trove of the fresh idea, founding a mine of beauty secrets? A: Having a healthy lifestyle has always been of utmost importance to me from a very young age; researching ways to do this is something I really enjoy, and sharing my learnings and experience with others makes the whole process even more fun. While the fad about skin deep beauty lures men and women alike, natural beauty is compromised. Quick-solutions abound, hence, related health problems also abound! 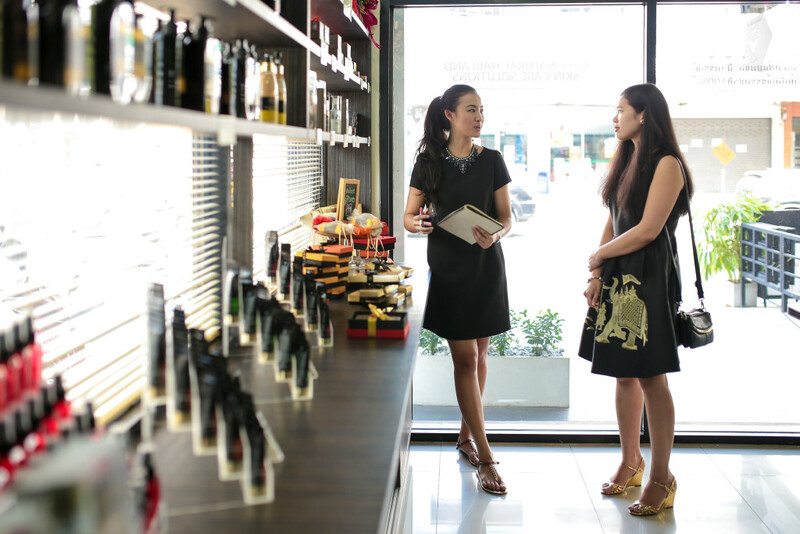 Meanwhile, as a millennial, Kristiana purposed in her heart to help women cut the chase for artificial and high-maintenance aesthetic skincare enhancement by providing world-class and peculiar natural and organic options. 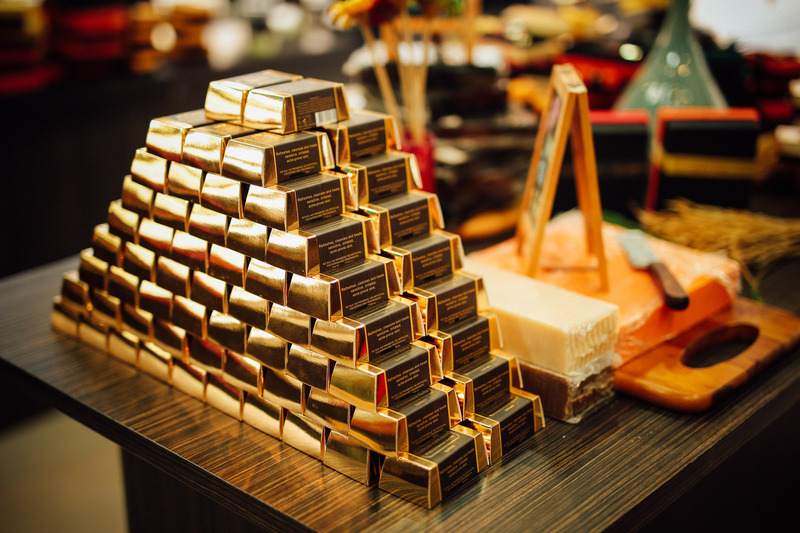 Q: When did you conceptualize Gold Bar Luxurious Naturals, and what motivated you with this venture? A: Gold Bar started in 2014 when I moved back to Thailand after graduation. I’ve always believed that what you put on your hair and on your skin is just as important, and increasingly so, as what you eat when choosing to live a healthy lifestyle. Unfortunately, many studies have indicated that harmful substances have made their way into the cosmetics industry as poor attempts to cut costs or to make certain products appear more appealing to the consumer. Because what is put on the hair and skin is absorbed into the body, the chemicals we’re increasingly exposed to in regular, day-to-day products make us more prone to skin irritations and premature conditions such as hair loss. It is, therefore, important to minimize this exposure as much as possible and make sure that what is put on the hair and skin is free from substances that can be harmful to the health and to the environment we live in. I feel this is an aspect that is too often neglected. I’ve experienced this myself and had my fair share of personal struggles with various hair and skin problems and countless disappointments of numerous prescriptions and products from all over the world. I really know how horrible it feels. It was then that I decided to try a completely different route and go natural, allowing my body to naturally heal itself. It worked! I realized that there is no ‘quick fix’ method to bettering hair and skin problems, especially to achieve long lasting results, but with the right kind of help, our body’s ability to heal itself for good can surprise you. It definitely did for me. Living a healthy, natural lifestyle can be expensive, especially when you throw considerations for hair and skin care into the mix. I can really appreciate this fact, especially back when I was a student and when I was a fresh graduate. I felt that there was a real lack of natural and organic hair and skin care that is of high quality and effective, yet affordable. 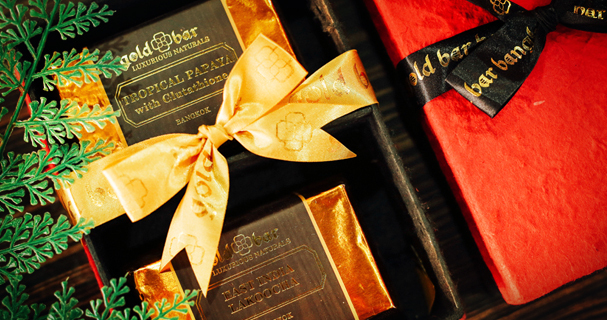 I wanted to create something that fills this gap and to make healthy living something everyone can do, hence Gold Bar. Q: What is the mission and vision of your company, and how do you see it in the next five years? A: I would like Gold Bar to be everywhere in the world, to make this element of healthy living easily accessible for everyone. Q: What is the edge of the Gold Bar Oud hair and skin care products compared to the leading organic beauty products available in the market? A: Our Oud hair and skin care products are really one of a kind. Known as the “Wood of the Gods”, Oud is one of the world’s rarest and most precious symbol of culture and luxury. For thousands of years, it has been used in the Middle East in the form of wooden incense chips, body oils, and fragrance – becoming synonymous with warm hospitality in the Arabian Peninsula. The popularity of its deep and lulling scent has increasingly expanded to the rest of the world and we’ve really worked hard to create complete ranges of Oud-based products that appeal to both traditional tastes in the Middle East, as well as the international market. We are the only brand that offers complete Oud ranges that include soap, shower gel, shampoo, body lotion, massage oil, body mist and ambiance mist. We currently have 3; Shamma, Al Jory and Reem, each of which has proven to be favorites of many. Q: When did you start using all-natural, organic, and 100% cruelty-free products? A: I started when I was 16, during the last 2 years of my high school in the UK. Q: As a young CEO and Founder of Gold Bar Luxurious Naturals (23 years old), what are the challenges and hurdles do you face and how you do you handle them? A: There’s been a lot of challenges and hurdles, and I expect there will continue to be, but I’ve learned so much in such a short period of time so I am extremely grateful for this opportunity. Honestly, it’s the challenges that make the whole process a lot more fun and interesting. Q: Filipinas are world-renowned for their ethereal beauty. They often steal the limelight during pageants and win the title and crown (be it Ms. World, Ms. Earth, Ms. International and Ms. Universe). You are a model, but do you have any plan of joining a beauty pageant? A: Haha! No! Beauty queens are bred, not born. It takes years of preparation from a very young age to become a strong contender in these pageants. I’d be very happy to be helping in the preparation process by bringing out the best in their natural beauty. Q: Kindly share your beauty secrets and beauty and fitness regimen. A: Well, my beauty regimen is no longer a secret – I only use Gold Bar products because I really needn’t look further. Because I have such a busy schedule, I really stick to the basics and Gold Bar has all those covered. In terms of fitness, I train very regularly and when I do, I train hard – making sure I have a good combination of both cardio and strength. It’s important to exercise regularly in order to stay healthy. Because many do ask, I have a profound love for food so I don’t limit what I eat, instead, I make sure that what I do eat is nutritious, healthy and organic as possible. For times when I’d like to indulge, I do let myself fully enjoy it. Life’s too short! Gold Bar Luxurious Naturals’ tides of influence have reached international shores including England, Spain, Tanzania, Kenya, Czech Republic, Laos, USA (Hawaii) Germany, Portugal and Philippines. 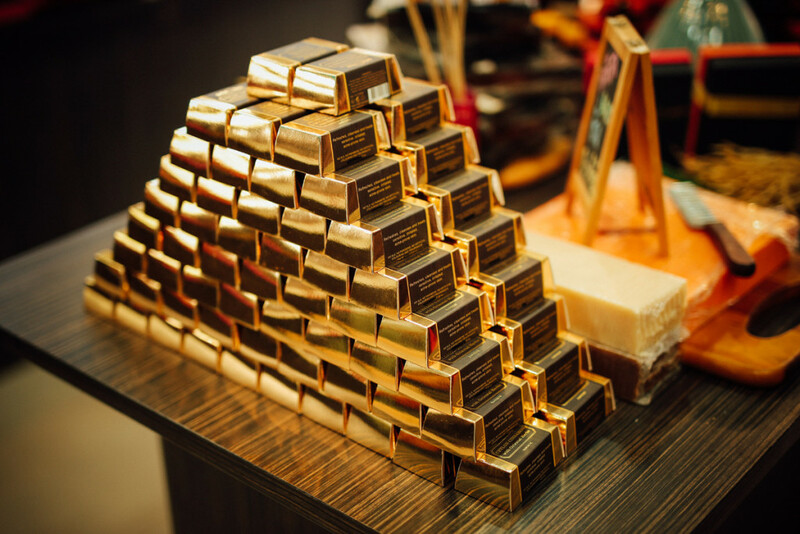 Last year, Gold Bar opened its branch in Dubai, hence, its ripples reached the glittery city at UAE. This year, there would be a beauty surge in the Philippines! 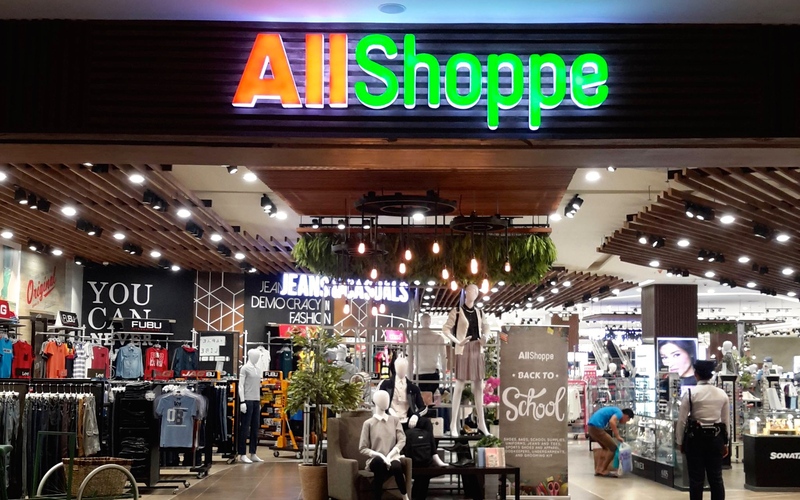 For Filipinos, don’t miss this awesome opportunity! 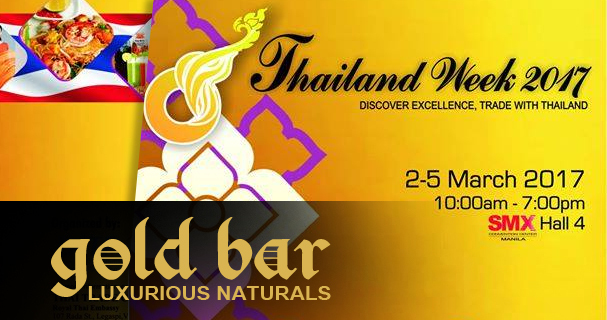 To know more about Gold Bar, don’t miss the Thailand Week 2017 at SMX Convention Center, Hall 4, in Manila on March 2-5, 10:00 AM – 7:00 PM. Kindly visit the booth of Gold Bar and experience more of Thailand’s exciting exhibitions: Thai cooking demonstrations and Muay Thai performances, to name a few.